The superhydrophilic and superoleophobic filter cartridge employs the membrane with independent proprietary intellectual property rights. The filter cartridge is researched and developed to separate oil, alkanes, benzene and water when oil water mixture passes it. The water quickly passes the filter cartridge, but the oil and solid is hold by it. It is suitable for the situation of more water and less oil. It helps the discharge water to be in compliance with environmental laws and regulations or internal ISO 14001 Objectives and Targets. String wound filter cartridge and pleated filter cartridge can be made. 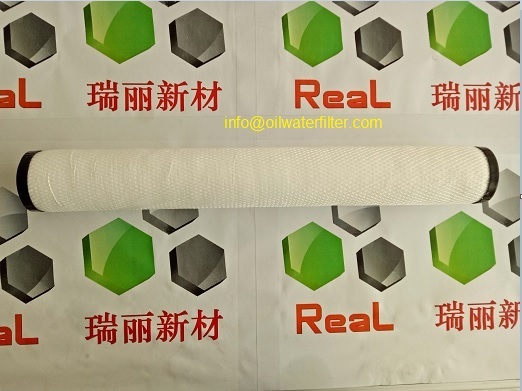 The water quickly passes the filter cartridge, but the oil and solid is hold by the filter cartridge. 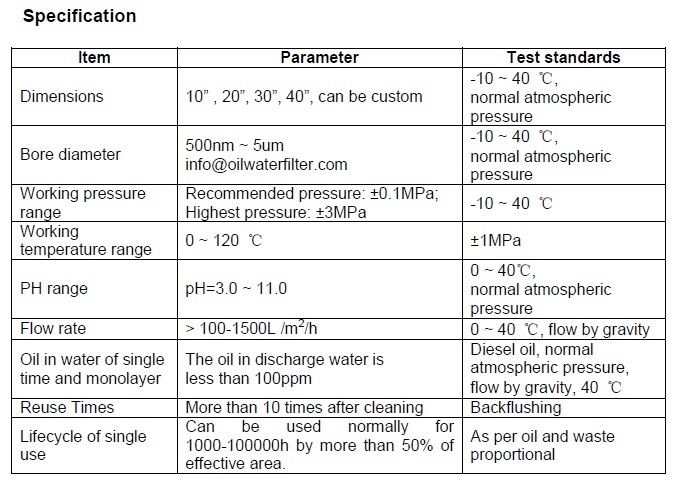 Excellent filtration effect and perfect efficiency under the situation of more water and less oil. Long lifecycle, can be reused for more than 10 times after cleaning.